Sold by Just Right! and Fulfilled by Amazon. Sold by Just Right! and ships from Amazon Fulfillment. 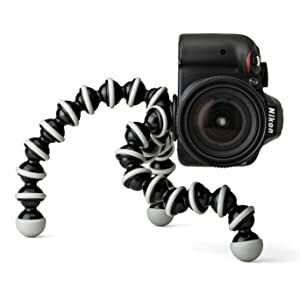 JOBY GorillaPod Focus with Ballhead X Bundle. Flexible Camera Tripod with Ballhead for DSLR Camera Rigs with Zoom Lenses up to 5kg. 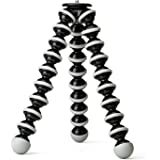 JOBY GorillaPod 3K Stand. 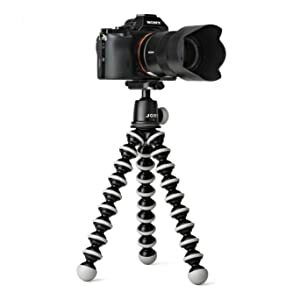 Premium Flexible Tripod 3K Stand for Pro-Grade DSLR Cameras or Devices up to 3Kg (6.6lbs). Black/Charcoal. Flexible tripod and ballhead for DSLR cameras with zoom lenses weighing up to 3 kg (6.6 lbs). Allow you to secure your camera almost anywhere, indoors or out. 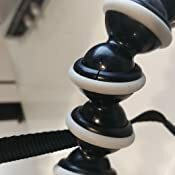 Rubberized ring and foot grips provide stability on uneven terrain, and grip securely when bending around branches or poles. 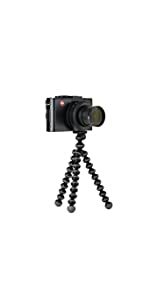 Fits easily in your camera bag without adding extra weight, yet is durable enough to withstand years of use. With zoom lenses, camcorders or external flashes, weighing up to 3 kilogram (6.6 pounds). Set up quickly, fine tune/adjust shots or easily switch between portrait and landscape orientations. 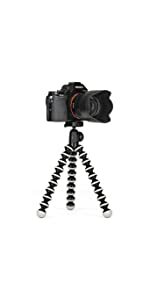 With universal stainless steel 1/4 inch-20 tripod screw or included 3/8 inch adapter. 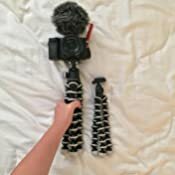 What is the capacity of this GorillaPod? TURN YOUR WORLD UPSIDE DOWN. 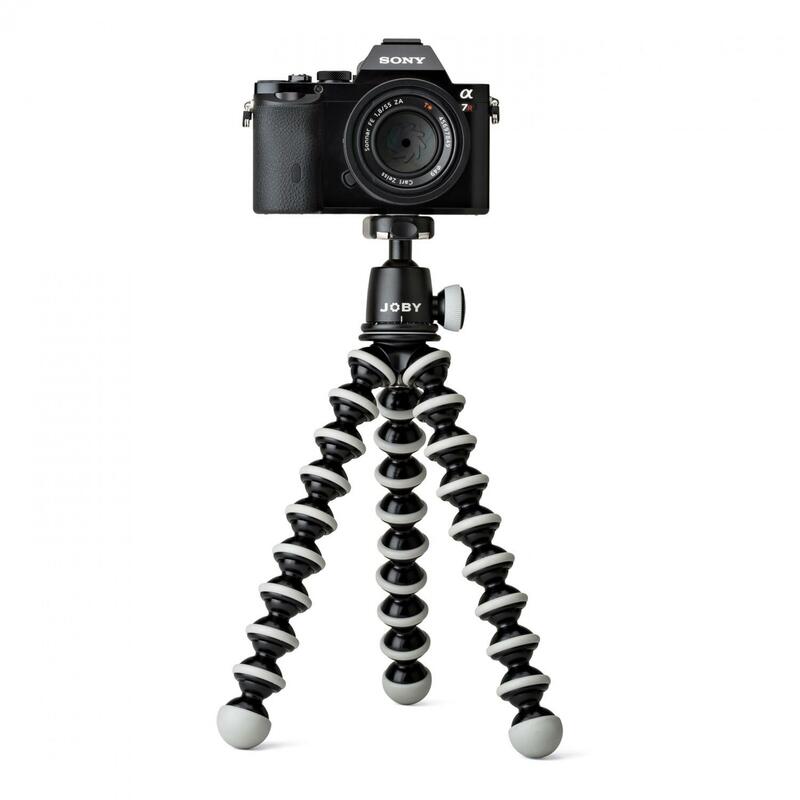 Take previous limitations out of the equation with the GorillaPod SLR Zoom Tripod and Ballhead Bundle. The 360 pan gives you extra-versatility as increase the range of shots you’re capable of. There’s no room for hesitation when you unleash your creativity, which is why the quick release plate allows you to seamlessly transition when on the go. 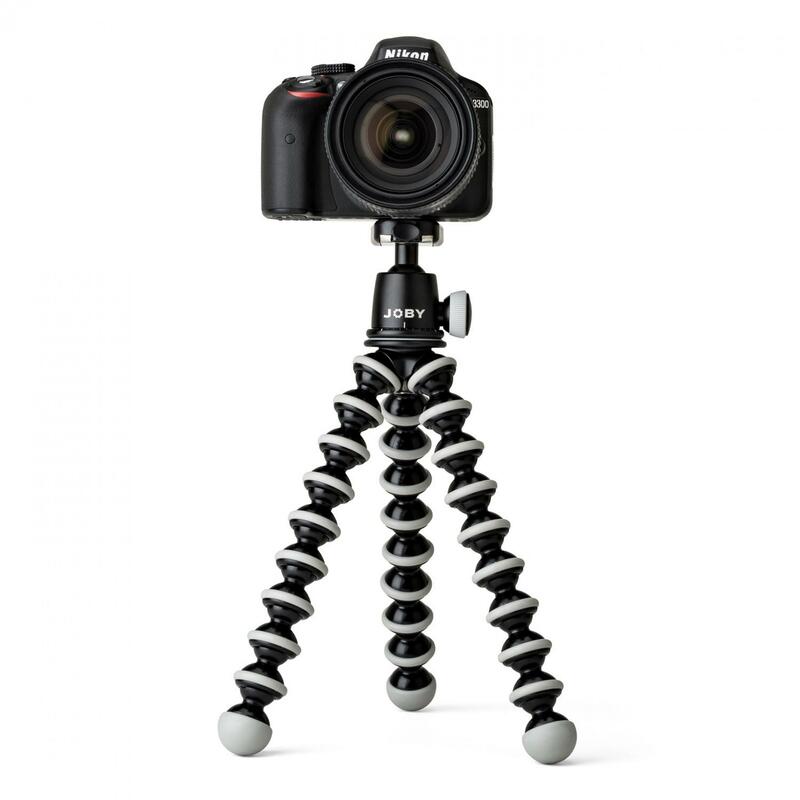 The flexible, wrappable legs will secure your camera up to 6.6 lbs. With over two dozen flexible joints, the legs will stay secure, even when you’re stuck between a rock and a hard place. 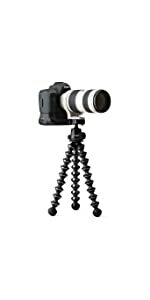 The rubberized ring and footgrips keep your gear standing strong, or you can utilize the octopus style tripod to wrap around almost any structure, from fences to trees. Weighing less than 2 lbs. 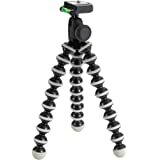 total, this ultra-light tripod and ballhead bundle fits easily in your camera bag or backpack, so you can take it virtually anywhere. COMPATIBILITY OPTIONS. 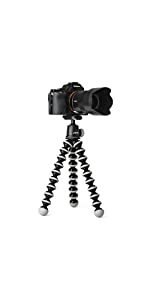 Made out of durable, yet lightweight ABS plastic, zinc-aluminum, TPE Grip pads, and stainless steel, the JOBY GorillaPod SLR Zoom Tripod and Ballhead Bundle will never let your camera slip out of its grasp. Designed for SLR and mirrorless cameras up to 3 kg. (6 lbs. ), you’ll get the sturdy structure you need, for the images you want. 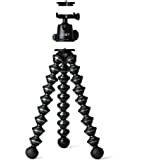 With a ¼”-20 thread standard tripod mount, you can easily use it with other JOBY tripods and stands. 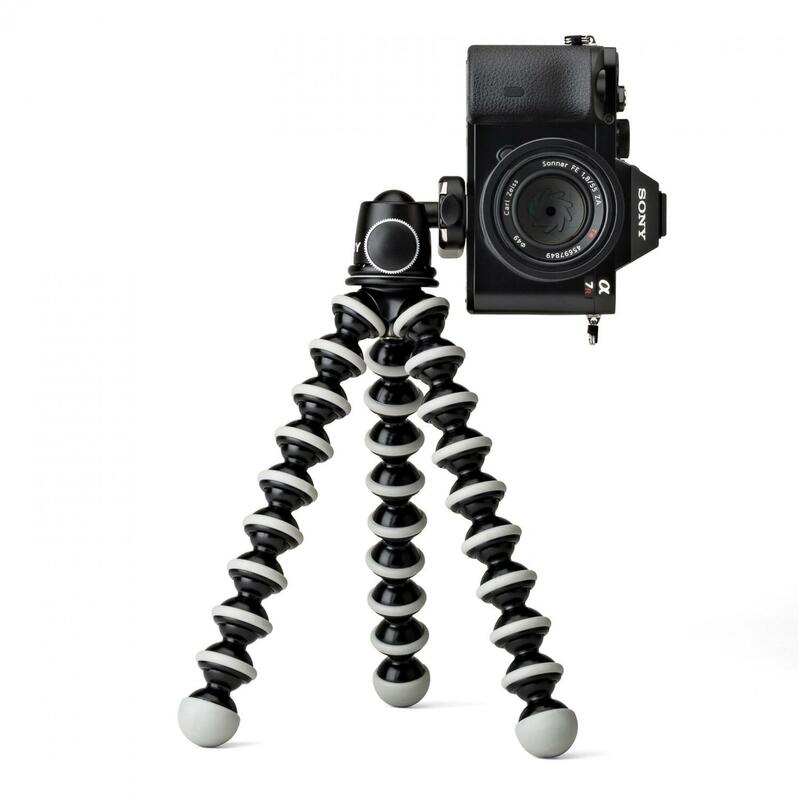 Give yourself the tools you need to take better photos and smoother videos with the GorillaPod SLR Zoom and Ballhead Bundle, the ultimate versatile tripod. 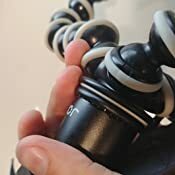 5.0 out of 5 starsExcellent upgrade from the Hybrid Gorillapod. 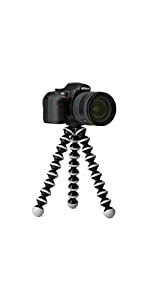 I originally was using the slightly smaller and more compact Hybrid Gorillapod for the Sony a6300. After 3 months it finally took a toll on the tripod and there was a crack. See a comparison of their sizes on photo: the left is obviously the SLR and the right is the Hybrid. I can probably still use it if I just carry it around only and not try to situate my camera with the tripod on anything. But I'm glad I upgraded to this SLR Zoom model because it is judt a little more expensive but so sturdy and much better built than the Hybrid model. The ball head is also constructed better. The legs move more flexibly and smoothly when you need to twist them. 2.0 out of 5 starsWhy don't they offer replacement cups? Even more annoying then the cracked cups is that I cannot find replacement cups. When I noticed the cracks I thought "oh no problem I bet they sell individual replacements" As far as I can tell, No they don't. Would rate at 4 stars if replacement cups were available. Becuase aside from that its what I wanted it to be. Ok, I never leave reviews on amazon and did not want to (I tried to contact you directly amazon, but I was unable to click the store name) I wanted to handle the issue internally via messaging you but since I was unable to, this is my only option. The product worked great for 3-5 uses until the plastic cracked that the ball heads get inserted into. 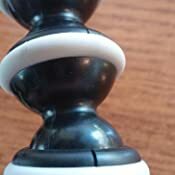 The plastic cracked on the very top and on several other legs throughout the Gorillapod. I was wondering why it was not standing up properly when I had my camera on it. The legs would give out and I would have to really tweak it perfectly to have it stand properly. 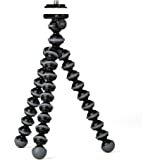 This gorilla pod never went outside, my camera weighs less then 2lbs and I am very disappointing in the fact I now have to buy new tripod legs (which are not cheap by the way) this accessory is necessary for my vlogging and I DO NOT want to purchase a new set of Gorillapod legs every quarter (I purchased this in march and it already broke) I could see 1yr...I get it, but 4 months with minimal use? Nope. Not a happy customer. The products great, if it's not cracked / broken...but that's not the case in my situation. Maybe I got a faulty one? I have no clue. I would love to be sent a new set of legs so I don't have to purchase a new one & would be more then glad to take this review down. 1.0 out of 5 starsThis baby rocked my world...until it broke. This baby rocks my world. It has the grip I need to hold on to the shots I want, and the strength to stand on its own long after my weary heart has given up. The ball swivel is smooth and stays where I put it, unlike my dog who minds me not. After two months of light use, the second joint down on one of the legs has cracked and no longer supports any weight, causing the tripod to now only function in "laid out flat" or "curled around something" mode, and is unable to stay upright. I was initially very happy with this product but have to give it a 1 star for failing to meet even the most basic durability requirement: stand up and not break. 4.0 out of 5 starsIt does not live it up to its promise of carrying 6 pounds of weight. However, it works really well for smartphone photography. I purchased it because I needed a compact tripod that is light and easy to carry. What’s more, I needed a reliable stand to hold my SLR during my photography work. 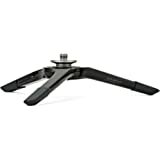 I read several Amazon reviews that praised the JOBY for its literal and figurative flexibility. According to those reviews, the SLR Zoom could easily handle the weight of my Canon 7D and 28-135mm zoom lens. Now I hate to say it, but those reviews were wrong. The SLR ZOOM cannot handle 4 pounds of weight, which is the 7D camera body and zoom lens combined. This was really disappointing to me. 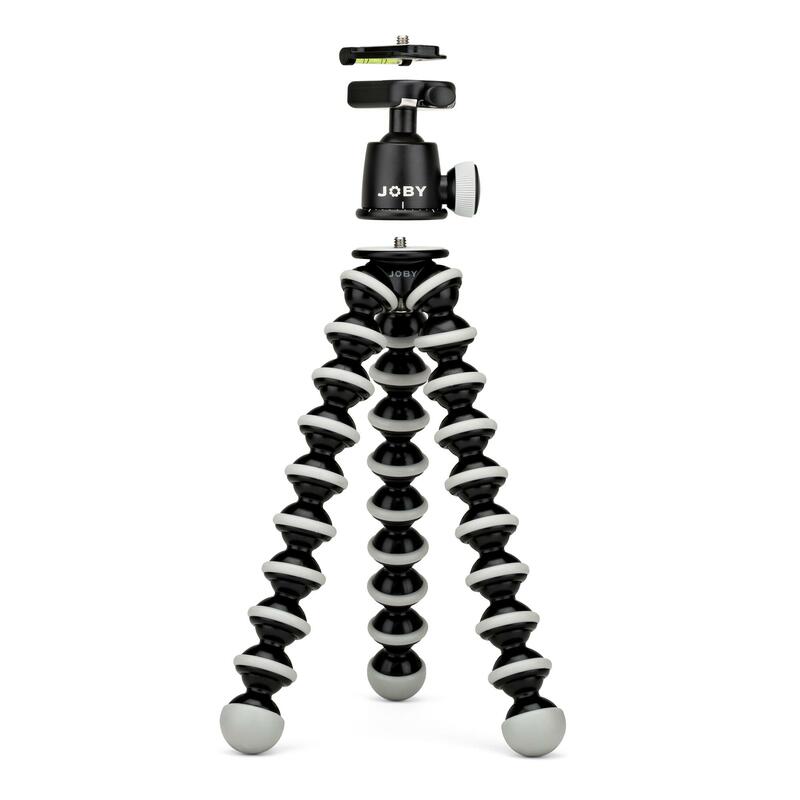 Here is a direct quote from JOBY: “The GorillaPod SLR Zoom can fiercely secure equipment up to 6.6 lbs.” I think that is a little misleading. Perhaps there is some kind of wacky leg configuration that I don’t know about. 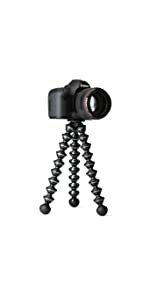 But I posed this GorillaPod in numerous ways and I just don’t feel confident setting up a shot and walking away from my expensive camera. I purchased this item in September of 2015. It is now 2017 and I still use it every day. After reading my previous section, that probably makes no sense, right? Let me explain. After I realized that I could not use the SLR ZOOM with my Canon 7D, I decided to use it with my iPhone and Nikon Coolpix, which are both compact and lightweight. That is where this product really shines. It is perfect for holding compact devices. You simply need to purchase an adapter. 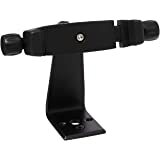 If you don’t understand what I’m talking about, simply do a search on Amazon for “smartphone tripod mount.” You will figure it out immediately. You have probably seen these adapters connected to selfie sticks. If you have a selfie stick, simply unscrew the adapter, which holds your smartphone or compact camera, and pop it on your SLR ZOOM. Like I said before, I use this thing every day. For example, I have an iPhone 5 and I hate using it for selfies. 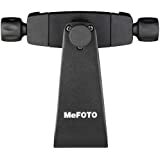 However, when I want to take a photo of my wife and I, I simply connect my iPhone to the SLR ZOOM and I can position the rig anywhere. Here are places that I have used to set up group photos: a tabletop, the back of a chair, a chain-link fence, a tree branch and even the top rung of a 12-foot ladder. Use your imagination and set your camera’s timer. So far, I have taken the SLR ZOOM to Canada, Mexico, Japan, Spain and Australia. It’s well built and the legs are still pretty tight. They’ll probably get a little looser if you use it every day like I do. I really give my SLR ZOOM a beating and toss it everywhere. I think it’s worth the $43.99 that I paid in 2015. 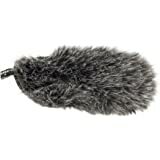 I wish I could give this product five-stars. However, it does not live it up to its promise of carrying 6 pounds of weight. But I still love the product because it works really well for smartphone photography. 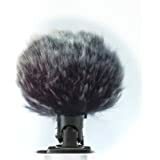 It is very well constructed, the octopus legs can grab on to almost anything and the high quality ballhead makes shot set up a breeze. 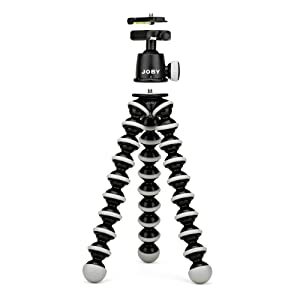 It’s a little pricey, but this tripod is a solid investment, which should outlive your next two smartphone upgrades.